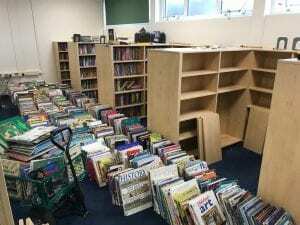 Thank you to Mrs Lloyd, Mrs Hodgart and Mr Andrews for the library move to date. Still some way to go, but we are creating a special quiet reading and reflection space for all the children. I am also excited by the old library space potential – possibly an ethos lounge or an art gallery or a curriculum celebration area – maybe all of the above. Watch this space!